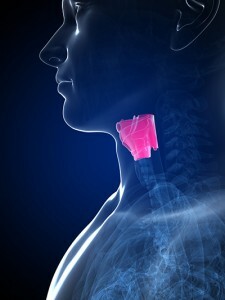 Your physician may recommend vocal surgery to diagnose or treat disorders in the pharynx (throat) or larynx (voice box). Direct laryngoscopy (looking down the throat while asleep) is a frequently performed examination of this area. It allows for a thorough examination of this area by the surgeon who may perform biopsies of the areas of concern. He/she may also employ use of a microscope, which allows the surgeon to work under high magnification for very fine tasks. Occasionally we may also use a laser attached to the microscope for some techniques or problems. This procedure is very safe. Minor risks may include a sore tongue, gum or lip and, very rarely, a chipped tooth. There are also a few cases of tongue numbness that occur, which usually resolve in 2-3 months. This is believed to be due to pressure on the lingual nerve, which supplies touch sensation to the tongue. If the procedure is performed to remove vocal cord nodules, polyps, or leukoplakia (white plaques), there is a possibility of recurrence. This may require another operation, if the original cause (vocal abuse, smoking, acid reflux) has not been eliminated, or if the voice is not rested properly after surgery.